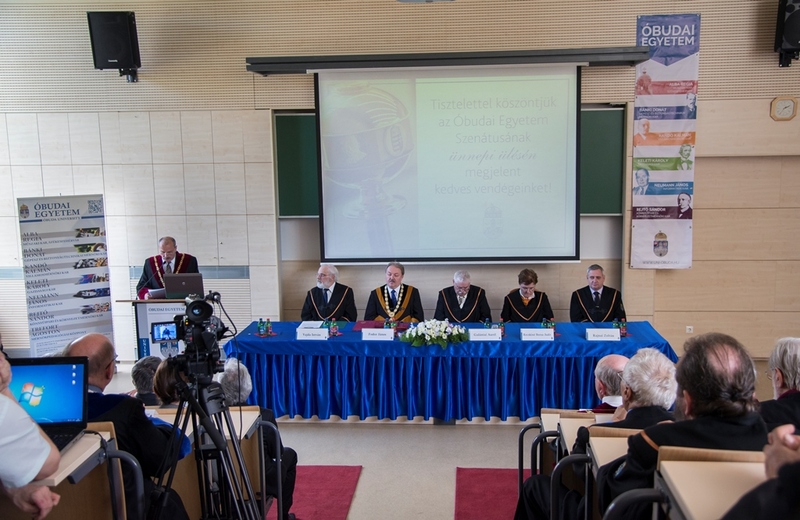 A significant event took place in Óbuda University on May 11th, 2015 when on the occasion of the Formal Senate Sitting Prof. Dr. Szemerédi Endre, Ábel Award-winning Mathematician, a prominent figure of the international scientific life, was awarded Honorary Doctorate as the appreciation of his outstanding internationally acknowledged scientific attainment. 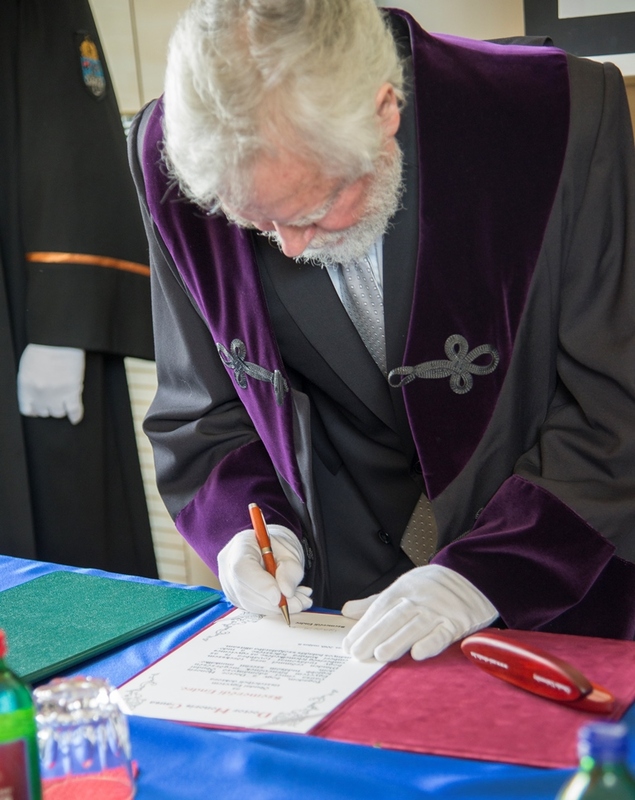 Endre Szemerédi was born on August 21st, 1940 in Budapest. 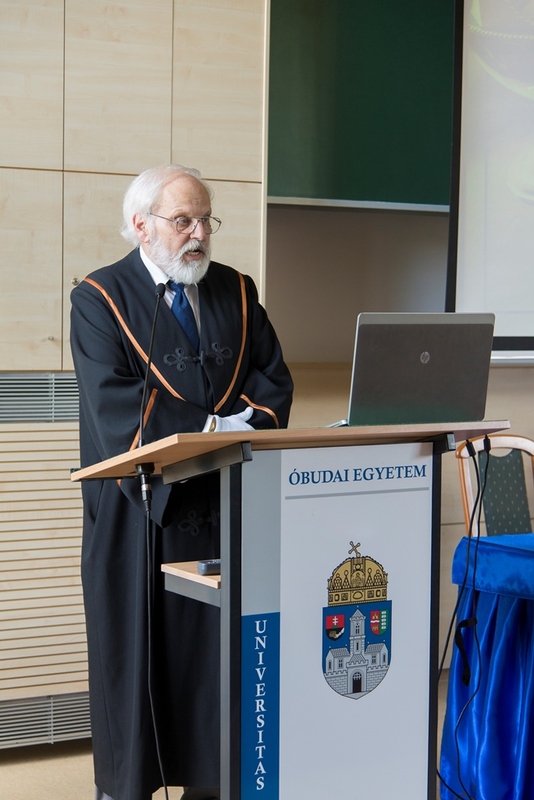 He graduated from ELTE with a degree in Mathematics and earned his doctorate degree from the Moscow State University in 1970. 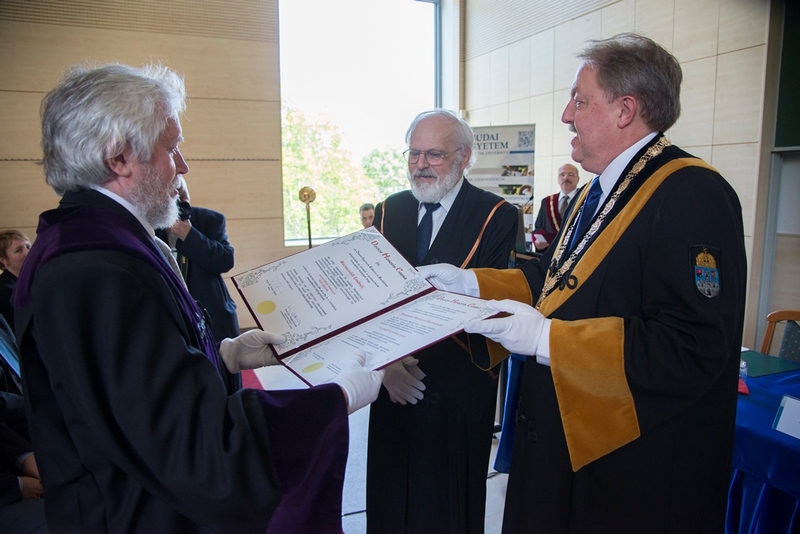 His achievements in the field of discrete mathematics were recognized by several national and international prizes, in 2012 he was honored by the Ábel Award which is known as the Nobel Prize of Mathematics, Dr. Szemerédi received the award in Oslo from Harald V, king of Norway. 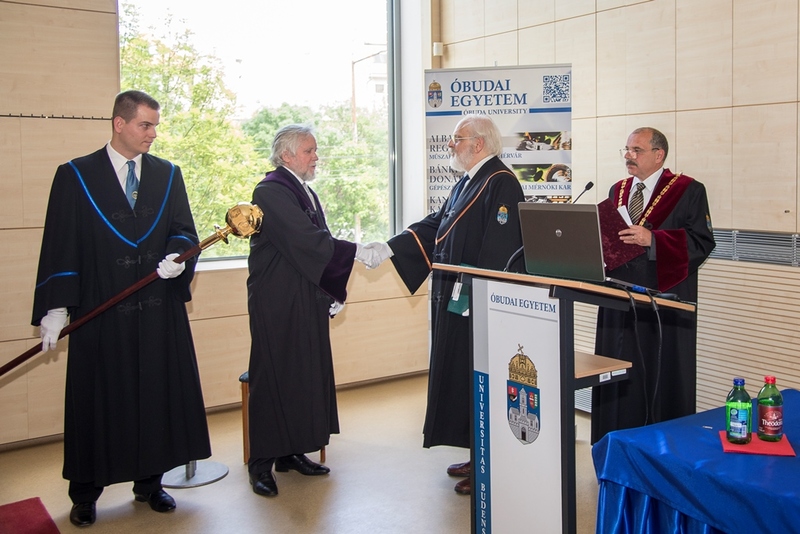 The ceremony was opened by the speech of Prof. Dr. János Fodor, rector of Óbuda University which was followed by the traditional convocation ceremony. 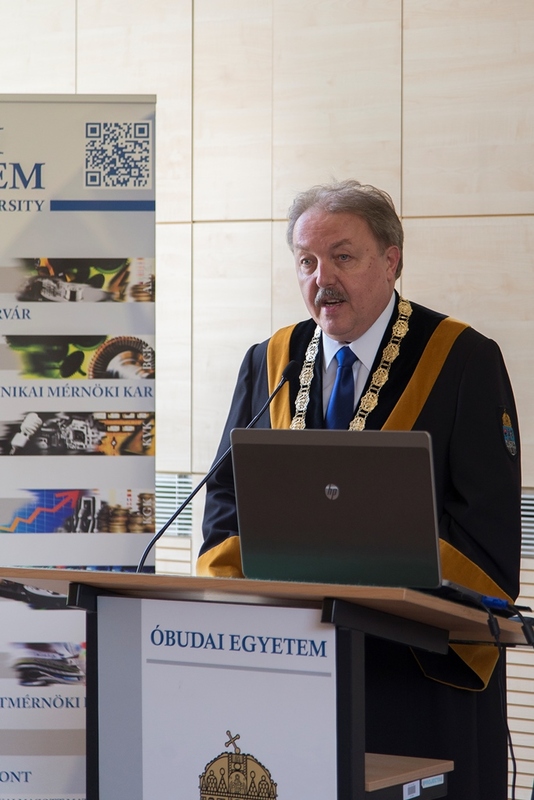 In accordance with the university’s tradition Professor Szemerédi held his inauguratory speech titled „The Role of Mathematics in Our Everyday Life and Why It Is Important” leaving awe in his audience. 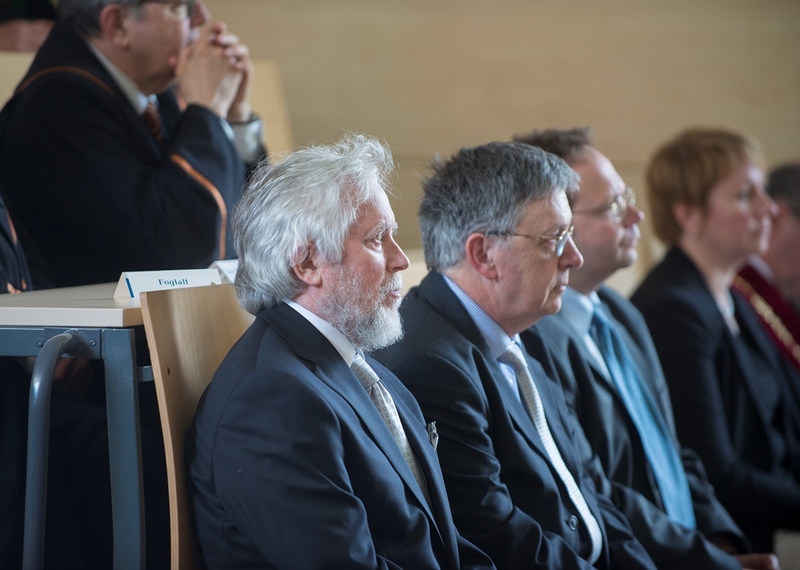 Among the guests there were many mathematicians, PhD candidates, members of the university community and Prof. Dr. László Lovász, president of the Hungarian Academy of Sciences also honored the event with his presence.